The @Autowired annotation provides control over where and how autowiring can be done.This annotations can be done on setter method,contructor or property.We will see each in detail with example. By default,whereever spring containers finds @autowire notation,it autowires bean byType. You can use @Autowire annotation on setter method to get rid of tag in XML configuration file. As you can see there is no relationship between above two beans,but we have used @autowired annotation which will automatically wire above beans on the basis of type. By default,dependency is required in the case of @Autowired like @Required but you can turn off it by passing required=false to @Autowired as argument. 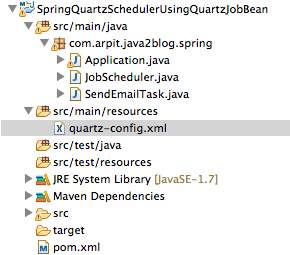 Now it will run even if you don’t provide capital bean in XML configuration.